Enjoy Flawless Razor Sharp Video! This Space Saturn Series™ Component Video Cable is designed to deliver the absolute best video performance possible. The three separate conductors are each comprised of 25 strands of 0.12mm Oxygen Free Copper (OFC), to ensure that the highest signal strength is achieved. The nitrogen gas injected dielectric will ensure that this cable is able to maintain a perfectly balanced 75Ω impedance. The end result is crystal clear video reproduction that is simply stunning. This cable features dual layer shielding to eliminate and reject electromagnetic interference (EMI) and radio frequency interference (RFI). The first layer is comprised of aluminium Mylar which is reinforced with 96 x 0.12mm strands of braided copper. The three conductors are individually encased resulting in a massive 16mm outer cable diameter. To ensure the best connection, this cable features precision cut outer contacts and centre pins. The 24k gold plating with its anti-corrosive properties will further add to the extreme durability which in turn will ensure a perfect signal is achieved. 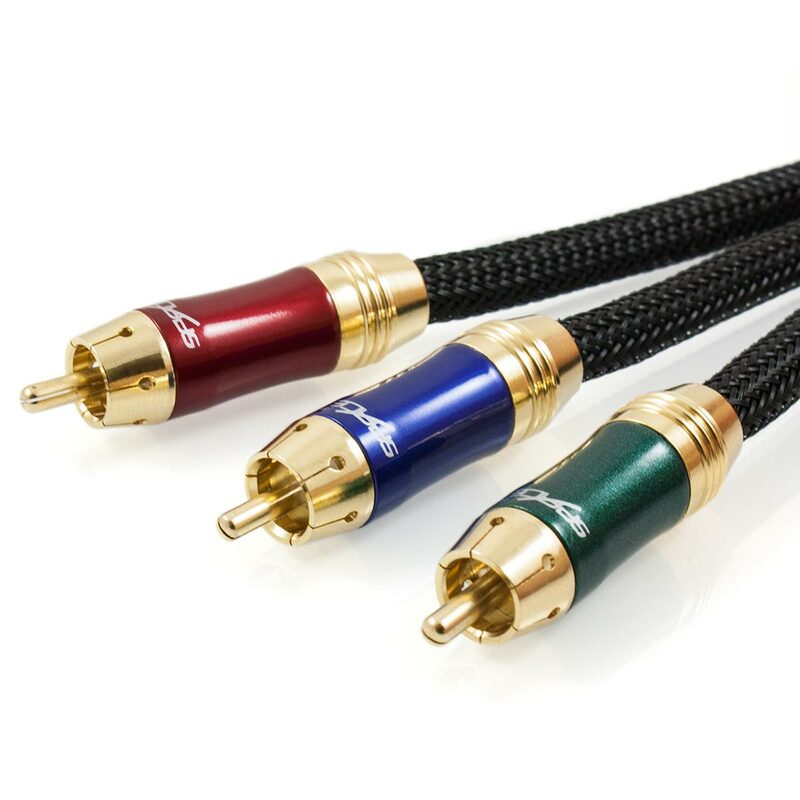 For the finishing touch, this exceptional cable features a colour coded plug housing with a stunning metallic finish. 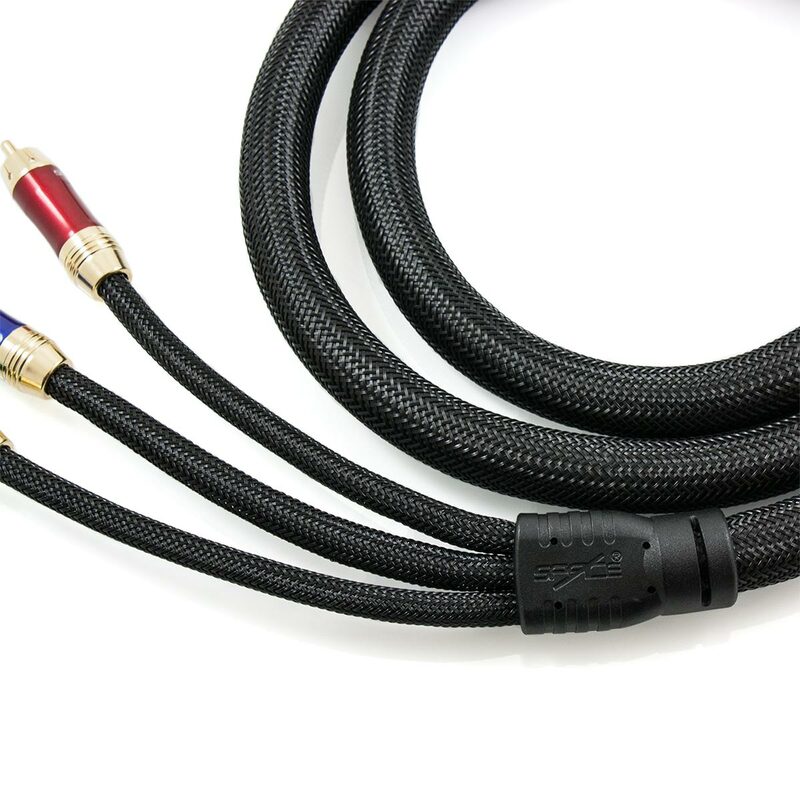 To further add to the extreme durability, this Component Video Cable also features a high density, triple weave outer braid. Besides the aesthetic appeal, this will also add another layer of protection against wear and tear. These features all work in synergy to provide you with flawless performance and the highest level of durability. Not to mention, the absolutely stunning finish which proudly represents a cable that will deliver razor sharp image quality. 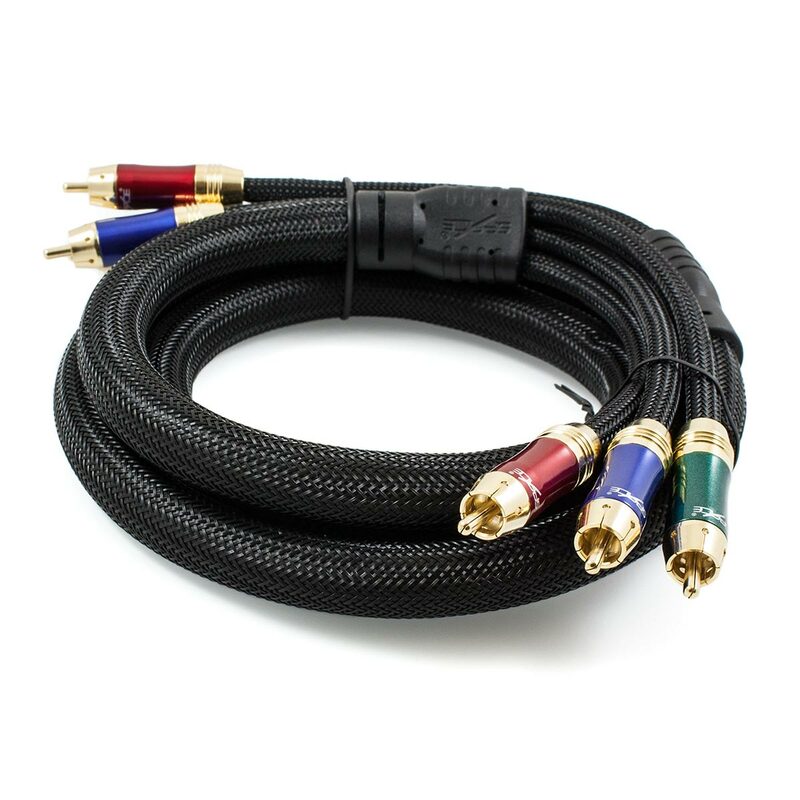 75% Off All Component Video Cables! As advertised, excellent product. Recommended seller, hassle free transaction, super fast post.